The thrill of discovery is high in this prospecting expedition. 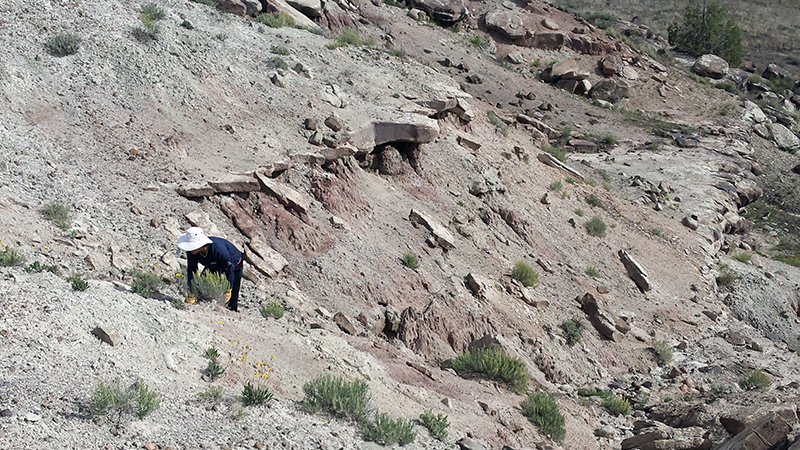 We will be hiking through the Cenozoic badlands of the Western Slope searching for new fossil sites. This is an area full of fossil bone, where new discoveries are still being made. The site you find could lead science to a whole new discovery! Bring your wide-brimmed hat and sunscreen and venture into the unknown! This is a hiking trip. Participants should expect to be traversing badlands without existing trails or shade cover. Wear sturdy hiking shoes, a wide brimmed hat & sunscreen, and bring poles if needed.